The history of House Boltagon is turned on its head in this truly bizarre third installment of The Royal Family’s venture into the stars. From the creative team of Al Ewing, Thony Silas, G Will Robinson and Jim Charalampidis. Many years in the past, Attilan was ruled by King Agon and his queen, Rhynda. Although governing Attilan was never their true passion. Rather the couple’s real interest was in exploring the effects of Terrigen on the Inhuman genome and producing superior beings by way of accessing the ‘Prima Materia.’ In earlier tellings of the tale, Rhynda was more of a passive subject to Agon’s experiments, allowing herself to be subjected to the Terrigen Mists while pregnant with the couple’s first child, Black Bolt. In this retelling of the story, however, it turns out that Rhynda is very much an active participant. Indeed it is her special Inhuman gifts that are pivotal to their efforts. Rhynda possessed the ability to consciously filter whatever substances come into her body. She had honed this power, refining it to such a degree that she could keep out any imperfection in the Terrigen Mist, allowing her unborn children to be exposed to an ultra-purified form of the Terrigen. No, that wasn’t a typo… I meant to write children. Fore it turns out that not only was Black Bolt exposed to Terrigenesis in utero, but so was his younger brother, Maximus. 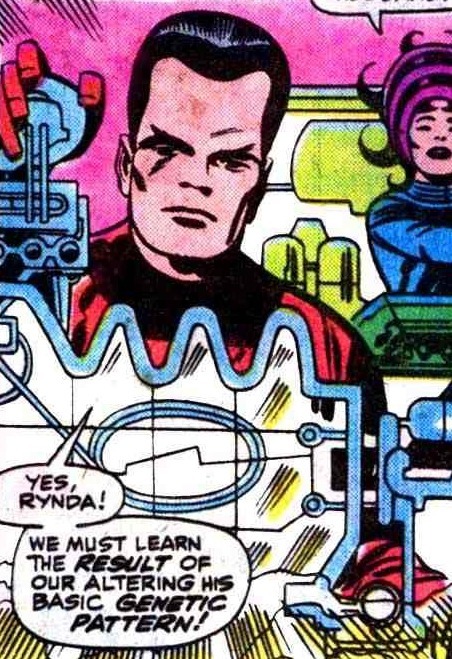 Furthermore, Rhynda’s filtering powers allowed her to both prevent herself from going through secondary Terrigenesis as well as direct exactly where the purified Terrigen particles would focus within the gestating fetus. 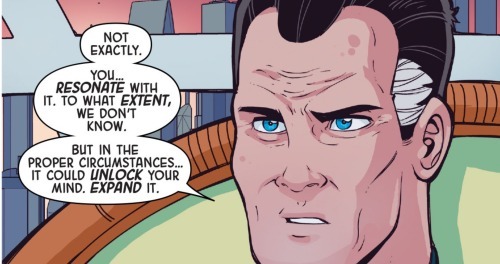 For Maximus, Rhynda concentrated the Terrigen on his nascent mind, ensuring greatly enhanced intellect and, potentially, a degree of cosmic hyper-awareness. Agon and Rhynda’s experiments were a success and both their sons possessed powers beyond their wildest dreams. Whereas the enormity of Black Bolt’s abilities were quite evident and overt, Maximus’ gifts were much more cerebral and covert. His father seemed to believe that Maximus might develop the capacity to see and think on a higher level, breaching the confines of time and space. And yet to achieve this required a kind of attunement with his brother. Agon suspected that Black Bolt’s powers were the key to unlocking Maximus’ true powers. Both brothers were forged by the purified Terrigen, what their parents referred to as ‘Prima Materia’ (Latin for ‘original matter’). 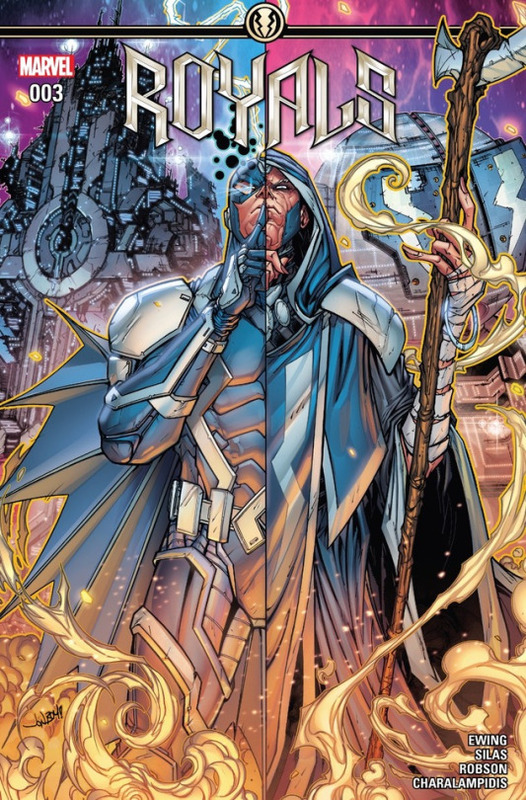 As such, the two are interlinked and while Agon and Rhynda saw in Maximus the potential for ultimate truth, in Black Bolt they saw the potential for ultimate destruction. Maximus was more like his parents, a scientist and discoverer. 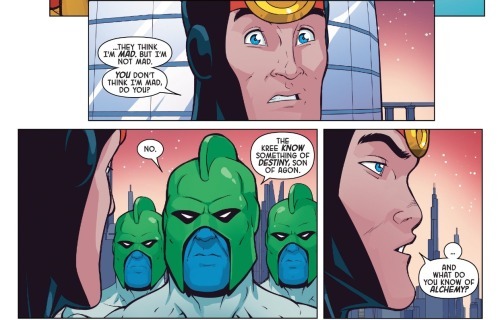 Whereas Black Bolt was a leader, decisive and assured. Agon and Rhynda feared Black Bolt, feared his decisiveness, his capacity to bring about change (for both the better and forth the worse). They tasked Maximus with being his brother’s keeper, testing him, shaping him as part of some bizarre effort to guide this ultimate being their parents had created. There are periodic flashbacks to an incident in the brothers’ youth. It was a story first told in the back pages of The Mighty Thor vol. 1 #149. In the tale, the young Maximus is envious that his older brother should be first in line of succession to the throne. 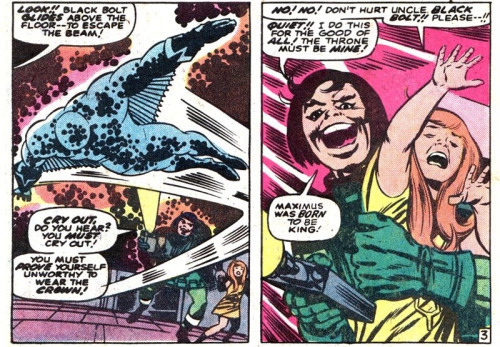 With the nature of his powers, Maximus believes Black Bolt is too unstable and destructive to be king. And he attempts to prove it by abducting young Crystal and firing ray gun at Black Bolt. Black Bolt is able to resist his brother’s goading and his rescues Crystal without resorting to unleashing his destructive voice. In this retelling of the tale, it would seem that Maximus is actually acting on his parents’ behest. He is not challenging his brother so to prove his own superiority, but rather to further hone Black Bolt’s ability for control and restraint. Or it is possible that Maximus was hoping that his brother would crack and that releasing his awesome power would create the attunement Maximus required to fully unlock his own powers. At the age of nineteen, Maximus is continuing to test his brother. This time by entering into a conspiratorial pact with rogue agents of the Kree Empire. It turns out that these Kree agents are actually working for Ronan. 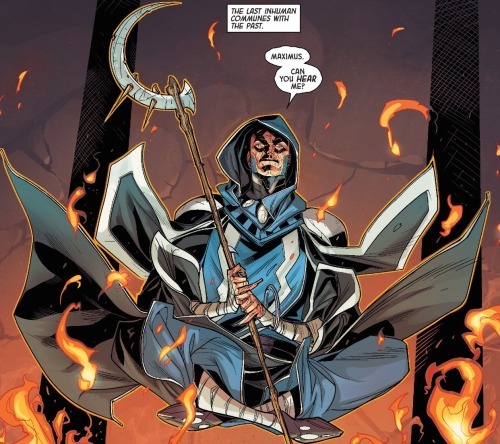 Ronan is aware of the prophecy that Terrigenic experimentation could bring about an anomaly, a destructive being who would bring down ruin on the empire (this prophecy was first introduced in the pages of Jonathan Hickman’s run on Fantastic Four). Originally, Maximus’ conspiracy with the Kree was centered on an effort to seat Maximus as king of The Inhumans in exchange for assisting the rogue branch of The Kree in taking over their own empire (as first detailed in the pages of Avengers Vol 1 95). In this retelling, however, The Kree appear to be interested in utilizing the forbidden anomaly that Agon and Rynda’s tinkering has brought about. The Kree flee as Black Bolt approaches. Once more Maximus goads his brother, tempting him to let loose with his awesome powers. This time Maximus succeeds and Black Bolt’s cries out in anger. Unfortunately, Black Bolt’s sonic powers causes the Kree ship to crash into the building where their parents are and both Agon and Rhynda are killed. Here the story deviates a good deal from the original telling. 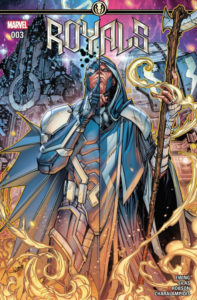 Initially, it was explained that Maximus was mentally controlling the pilot of the Kree spacecraft and that the concussive reverberation from Black Bolt’s voiced caused Maximus such psychological distress that he inadvertently caused the pilot to crash the ship into the royal palace, killing the brothers’ parents. This detail is left out of the retelling and it is reframed that the death of Agon and Rhonda was solely the fault of Black Bolt. 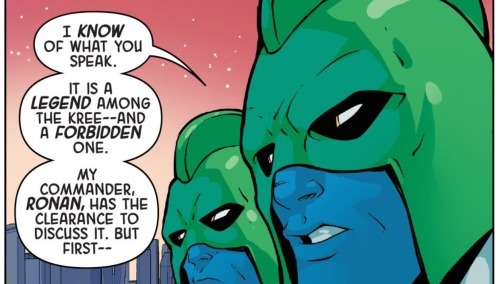 Furthermore, rather than driving Maximus mad, the power of Black Bolt’s voice instead unblocks a higher level of Maximus’s thoughts and perceptions. To this extent, all of Maximus’ ramblings and non sequiturs, all of his idiosyncratic prattling that made him appear as mad are actually the result of his ability to perceive time and space on a higher, more complicated level. Black Bolt has possessed a natural immunity to Maximus’ psychic powers of manipulation. Under when under great physical or emotional distress can Maximus break through and take over his brother’s will. And that is exactly how Maximus ultimately facilitated his escape and engineered his brother being sent to space prison in his place. Maximus had shared his secret with Black Bolt. He told him how their parents had so feared Black Bolt and the destructive change he would bring about. Their parents were afraid that Black Bolt would bring about their death and this fear proved prophetic. 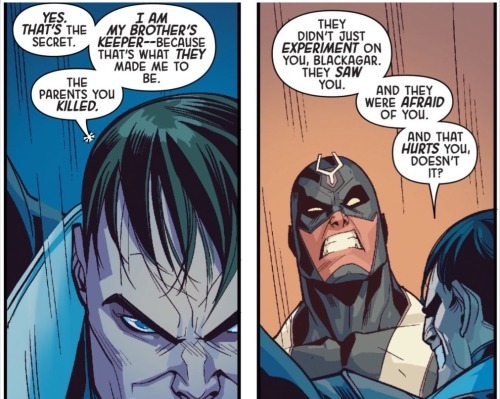 Black Bolt has always felt responsible for his parents deaths and Maximus’ words brought about such agony that it lowered his defenses and allowed Maximus to take over his mind. Once he had achieved that, he used an image inducer to switch places and the fate of being sent off to some strange jail int he cosmos intended for Maximus instead was befallen onto Black Bolt (as shown in Ahmed and Ward’s wonderful Black Bolt solo series). And now in the present, Maximus explains to Medusa and the others how he had managed his escape. Captain Swain suggests merely turning around and negotiating Black Bolt’s release so that Maximus can be rightfully take his place. Unfortunately, it is not as easy as just that. Maximus’ sentence was not just incarceration, but complete explosion from The Inhuman people. He was made ‘unspoken’ his name and all trace struck from their history. The name and location of this cosmic prison has been expunged and is no longer known, nor would the jailers respond to any call for Black Bolt’s release. Black Bolt is on his own; Medusa and the others are helpless in their ability to offer him aide. Trying to determine her next move, Medusa orders that Swain stay near Maximus so that her own psychic powers will cancel out those of Maximus. Maximus makes a more direct suggestion, asking why Medusa has not ordered him killed. Indeed, Gorgon is quick to offer his services as executioner. Yet for some reason Medusa refuses this option. She has every reason to hate him, to want him dead, yet something is causing her to resist the idea. For some reason, Medusa needs Maximus alive. Whatever reason Medusa has, Maximus appears privy to it. Confident that he is needed, Maximus suggests that the mission continue onward to Hala. Finally, five thousand years in the future, Maximus is the last of The Inhumans. He is the aged shepherd who has appeared in the prefaces of the first and second issue. Sitting in meditation, Maximus is able to see and experience the present and the distant past all at once. He even sees the Sky Spears professing to know what they are. And he knows that his past self is hurdling toward his destiny. He is Maximus, his brother’s keep and his mother’s child; the seeker of the Prima Materia; the last of the Inhumans. And what he does he does for the good of all. Interestingly, the story is not technically a retcon, but rather a retelling from a different perspective. It may be that Maximus is mad, afflicted by traumatic brain injury; or it may be that he truly possesses preternatural awareness that traverses space and time. Six in one hand, half a dozen in the other. From this perspective, Maximus may be both mad as well as preternaturally aware, simultaneously. Past stories have only shown passing glimpse of Max and BB’s parents. We have never before seen what were Agon and Rhynda’s motivations behind their experiments; what they hoped to achieve and what they thought about what they had achieved. This story merely expands on those glimpses, showing that Agon and Rhynda were obsessed with unlocking some sort of alchemic potential in the Inhuman genome… so much so that they experimented on their own children. The nature of Rhynda’s Inhuman powers is a very neat touch, answering a question I’ve long since had (that question being how was it that Rhynda did not go through secondary Terrigenesis when exposed to the mists while pregnant with Black Bolt). Well, now we know. It is wild to learn that Maximus was also exposed to Terrigenesis while still in the womb. Although it makes sense, Agon and Rhynda did once, why not do it again? 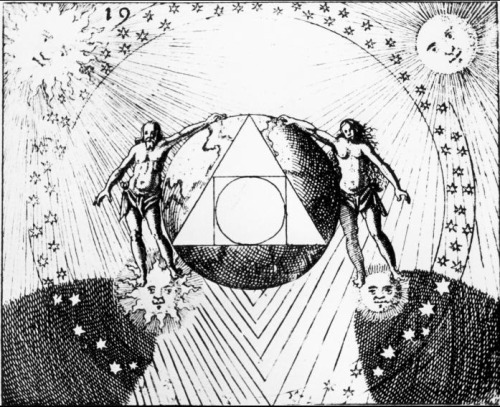 Prima Materia is a term associated with ancient alchemy. It is the first matter, the primitive formless base of the material world. It is the aether, the quintessence, the soul of the world (anima mundi). Agon and Rhynda seem to believe that Terrigen is akin to this quintessence and that purified, unadulterated Terrigen is similar to the primal stardust from which all of the universe has been created. Some hints may be found another book written by the same author. Along with The Royals, Al Ewing is also writing The Ultimates2. 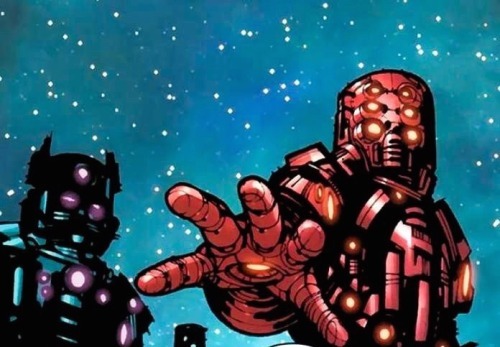 That title has been exploring the cosmic origins of the Marvel Universe, revealing that the Celestials were beings created by an omnipotent ordinal being called The First Firmament. The Celestials rebelled against their creator, choosing to make the universe dynamic and diverse filled with ever-evolving life. How the Celestials went about seeding he universe with dynamic life has yet to be revealed. It is possible that this prima materia is in some fashion connected to The Celestials and how they went about creating life throughout the cosmos. Its some pretty far out stuff and things are likely to get even weirder with subsequent installments. As much as I enjoyed the wild story Ewing has told in this issue, I was less thrilled with the art. This is likely to be a pivotal turning point in the history and mythos of The Inhumans, yet the significance of it all is somewhat undermined by rather lackluster outings by both Silas and G. Will Robinson. I’m not comfortable really dragging on an artist’s work; suffice to say I’m not a fan of the art in this issue. Although I will add that I appreciate G. Will Robinson’s attention to detail in recreating the original costumes and looks of young Maximus, Agon and Rhynda. The first issue of Royals was so tremendous, and much of it had to do with the excellent synergy Ewing and Jonboy Meyers had together in tether the art and story. I’m not sure what has happened that resulted in Mr. Meyers walking off the book. Whatever the case, the title deserves a new artists who might regain that same spark of synergy and align things between the story and the pictures. As it stands, Royals #3 is a wild and captivated tail bogged down by flat art. Two and a half Lockjaws out of five.